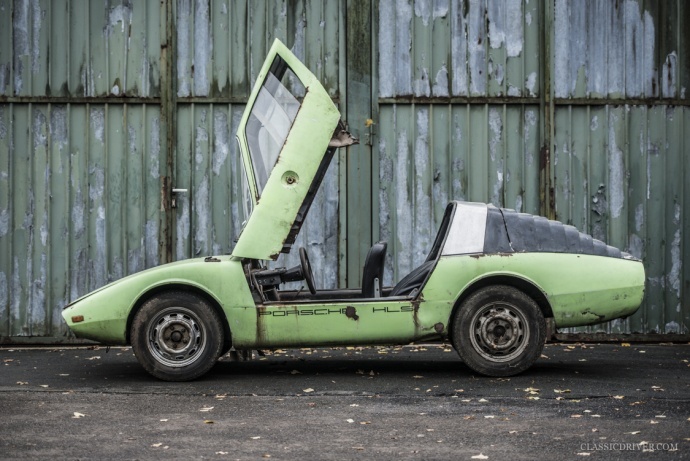 Home › Uncategorized › The secret Porsche? We all love a good “barn find” don’t we. And I’m not talking about the EBay specials; ’90s cars no-one really wanted anyway left to rot at the bottom of someone’s garden. If you read my previous post on the subject, you’ll see it’s a label I’m fierce to defend, in a classic car sense. Well I have some good news for “barn find” lovers – I think I may have come across the find of the century. It’s tipped as the Porsche that Google didn’t know existed, and if you believe the stories you have to wonder if many people at Porsche did, either. It’s called the Porsche HLS, it looks like something out of Thunderbirds, and I want one. Badly. Unfortunately for me, they only ever made one, and judging by the photos you’d probably have to sweep most of it up. But it’s a great story, and we all like one-off supercars, right? You can read the full story here, and there’s also some fascinating photos for you to mooch through, too. For more motoring stuff, you can follow me on Twitter – see you there!